The Most Trusted, Friendly & Professional Inspection Service You Will Ever Receive! ALL REPORTS INCLUDE: Full narrative bound report, typically 20 or more pages. Verbal report with on-site explanations. Miscellaneous observations. After delivery of report we are available for further questions. Minor issues can become major repairs! The effects of time, weather and wear all impact a home. Not only does this affect the outward appearance but there can be hidden problems that occur beneath the surface. 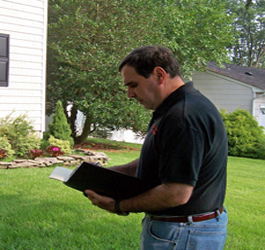 Aberdeen Home Inspection, Inc. identifies current and potential issues and helps you eliminate them.